Ornua Ingredients in Hilbert, Wisconsin manufactures your products in a modern, 110,000 square-foot facility located in the heart of Wisconsin's Dairy land. 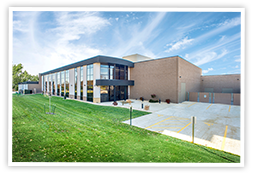 The USDA-approved plant features state-of-the-art production lines and packaging areas, large finished goods coolers and dry storage areas, and a modern research & development, quality assurance and applications lab. We're proud of our food safety, HACCP, GMP and Bio-Security programs, which are tops in the industry. Ornua Ingredients welcomes customer visits and audits. To ensure that all our products meet the highest quality standards, Ornua Ingredients is inspected regularly by the USDA, BRC, FDA, the military's VETCOM and the Wisconsin Department of Agriculture. Ornua Ingredients consistently receives top ratings in annual audits conducted by our customers. Ornua Ingredients in Byron, Minnesota operates a state of the art processing facility from its 25,000 square foot plant using a number of key differentiating factors to the rest of the industry, such as: unique and environmentally friendly cooling system for all hot cheese productions. We use innovative form-fill-seal packaging line, producing hermetically sealed packages. This is the only one of its kind in the United States and ideal for longer shelf life requirements and export opportunities. 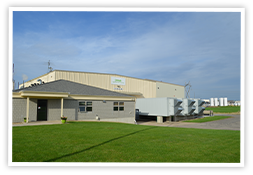 To ensure that all our products meet the highest quality standards, Ornua Ingredients is inspected regularly by the USDA 3A standard, BRC, FDA, and Minnesota state approved facility. Ornua Ingredients is a custom formulator of ingredient cheese solutions. We are proud to be the partner of choice for our customers ingredient cheese needs. Core Product categories include – Cheddarific©, cheese blends, cheese sauces and imitation cheese formats.